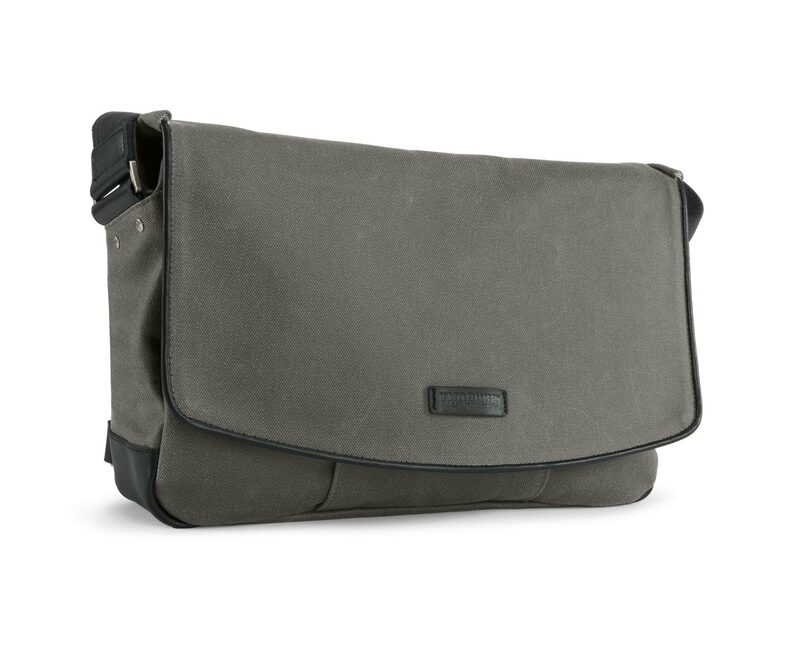 In the messenger/laptop bag market it is easy to be persuaded by fancy graphics, colors, secret pockets, and material options that you can’t spell, much less pronounce. I know, because I have been persuaded by these low lying fruit for the past 15 years. I was first introduced to the Timbuk2 Proof Messenger bag this April, after having a little fun with their April Fool prank, the Anchor Brewing Keg Backpack. And I must make a confession: I have always been more of a backpack/duffel bag kind of guy, so their work was cut out for them. Timbuk2 sent over a Proof Messenger for review several weeks ago, and the first thing I noticed when I removed it from its packaging was its elegant simplicity. As my mind retraced through the previous bags I’ve owned, I would say that I was about to move up from the orange accented hot hatch I normally drive, to a full-fledged Jaguar F-Type. 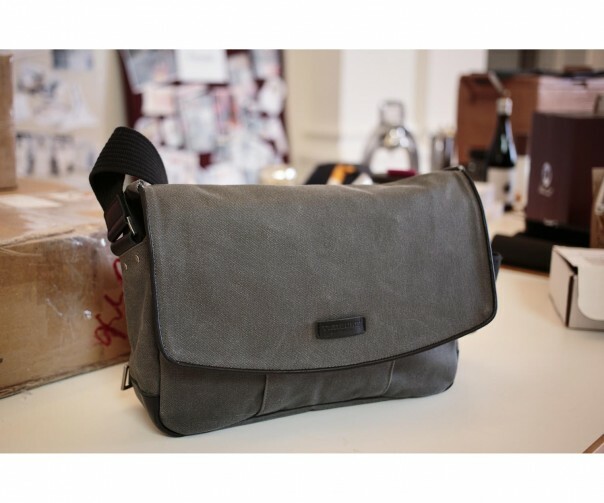 The Proof is a classic styled messenger bag with no frills, other than its superb craftsmanship. It features a wax canvass exterior, and as a previous owner of a Codi CT3 TriPak laptop backback, I can appreciate Timbuk2’s choice of material. While the Codi does have some strong Nylon weaving, it did not fare too well in a world of Velcro and sharp pointy objects. In other words, I soon discovered that time and the elements would eventually unravel this bag much like an unrested mummy. Waxed canvass is something that I would imagine Indiana Jones would choose for his own bag, as it doesn’t snag on anything. Its surface is smooth, easy to clean, and to be quite honest, it looks good even with a coat of dust and dirt on it. With that said, the interior is the complete opposite, taking the form of a super soft lining (called “peach”) to keep all your gadgets scratch free. The bag’s padding feels more like a thick gel, rather than a squishy cotton, which would seem to be a heck of a lot more shock resistant (although I never gave it a drop-kick to find out). The Proof Messenger also has a nice amount of pockets to keep all your valuables–but not so many that you start to forget what you put where (been there and done that). And it is stylish–especially in the tradition of what I like to imagine a man bag should be. There is no vinyl or pleather to be found on this bag. All exposed edges are wrapped in real leather. There is also not a sign of plastic anywhere, which means all fasteners, zippers, and buckles are made of a heavy-duty metal, which I like. There are a lot of little details on this bag that I have come to appreciate, such as the magnet snaps that close the corner gaps, making your contents impenetrable to the elements while you’re out and about. 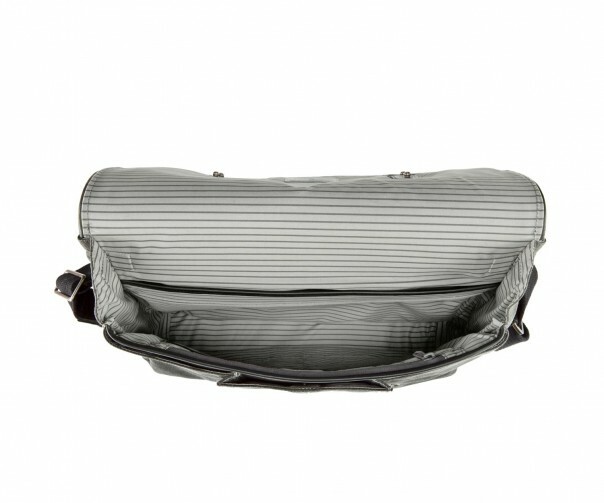 It also has a cross strap which inhibits the bag from wrapping around your shoulder while on the go, and I mean, really on the go, as in riding a bike or scooter. 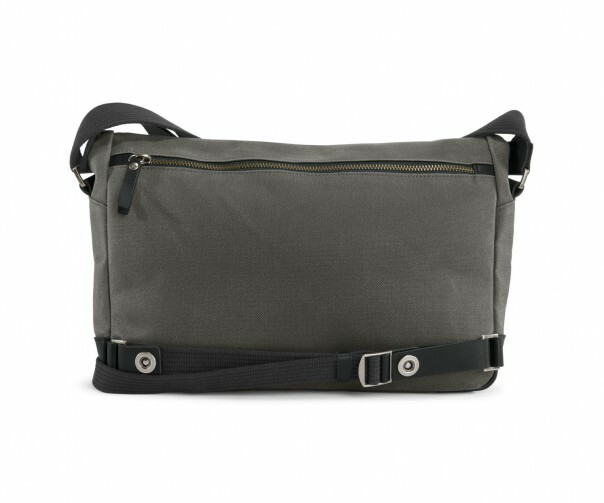 I think we can safely assume that this is not Timbuk2’s first attempt at a messenger bag, and if you read up on their history, this bag represents more of an improvement over several decades of experience with how messenger bags are used in the real world. And with that said, considering the amount of abuse this bag is capable of withstanding, it is easily adaptable to just about anything. I have brought this bag to sporting/concert events, to the gym, airport, business meetings, and no matter where I go—it just seems to fit-in. It looks professional, but at the same time, its laid back appearance doesn’t offer any statement, other than what I want it too. In other words, it is an accessory for the modern man who does not need any accessory to make him look more stylish (if that makes any sense). The Proof Messenger is there to serve its purpose, and will do so with dignity, durability, professionalism, practicality, and class. It’s kind of like an old plaid shirt that just gets better with age. I am still a believer in the backpack when you have to carry around a lot of stuff. However, I think you must first ask yourself, do I really need all that stuff?